What’s the History Behind Holland Gold Wax fabrics? While you may know and recognise the distinct look and feel of Holland Gold Wax fabrics, you may not know the interesting history behind the fabrics and the companies who produce it. Holland Gold Wax fabrics are very popular in Central and West African communities and African men and women love the intricate designs, rich textures and luxury finishes, like gold lurex; but did you know the fabric is often produced in a small town in Holland? Traditional Fabrics – Moving With the Times. 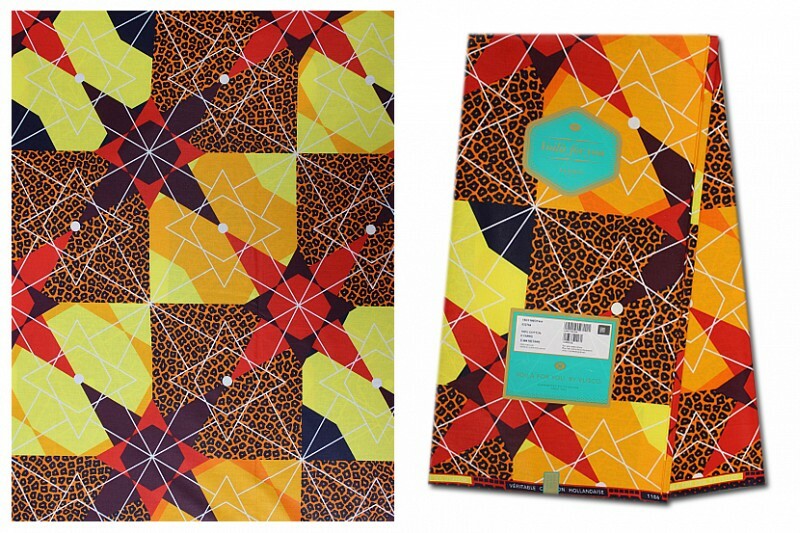 Companies like Vlisco are based in Holland and have been producing Holland Gold Wax fabrics, also known as Wax Hollandais, for centuries and are renowned for their unrivalled quality and their eye-catching designs and patterns. Vlisco have been making African-inspired fabrics since 1846 and it is this rich heritage and the expansion of the range to include new designs and techniques, which has continued their success and popularity. They have an excellent reputation in Africa with men and women looking to make a real statement with their clothes and accessories. What makes the Holland Gold Wax fabrics so special and unique is all down to the production process, which includes 27 unique processes for each section of fabric. The top secret wax process that is used is based on traditional batik techniques, which originated in Indonesia. The fabric is printed on both sides and goes through stages which are operated via machine and by hand to create the individual, vibrant and cracked appearance of each section of waxed fabric. The process is carried out by skilled workers and it takes a long time to make each batch of fabric, but it is all worth it when you see the stunning designs and the smiles on the faces of the people wearing the striking prints. A huge range of Holland Gold Wax fabrics are available at Empire Textiles. At Empire Textiles you will find the best designs and styles at the best prices from a very trustworthy supplier. There is also free shipping available when you spend a certain amount on fabric, so just select your favourite Holland Gold Wax fabrics and start creating your dream outfit today.